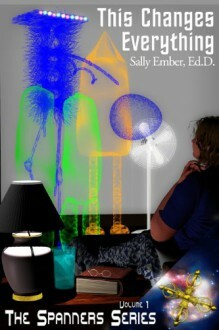 on BookLikes: Sally Ember, Ed.D. Are YOU ready for the changes? The five alien delegates from the Many Worlds Collective (MWC) come in hologram form to the selected liaison for Earth, Clara Branon, Ph.D., 58, for the first time on December 21, 2012, after several millennia of mostly secret visits and contact with Earthers. Members of the MWC InterGalactic Council decide that a liaison, dubbed the Chief Communicator (CC) must be contacted and that this contact must be made public in order to avert multiple types of disasters on Earth.